#2 Son is increasingly into this. 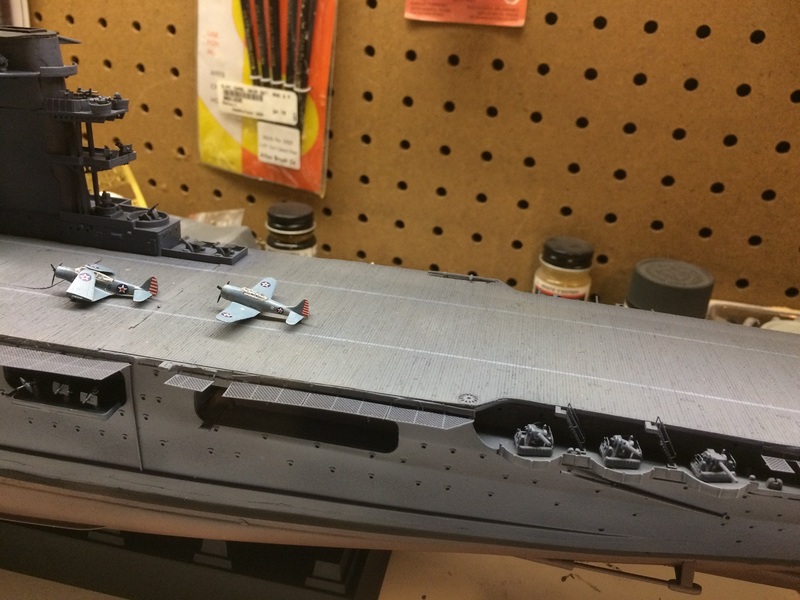 We finished USS Arizona some time ago. I did this thing with strips of chart tape and different shades of teak brown to produce a more realistic looking deck. 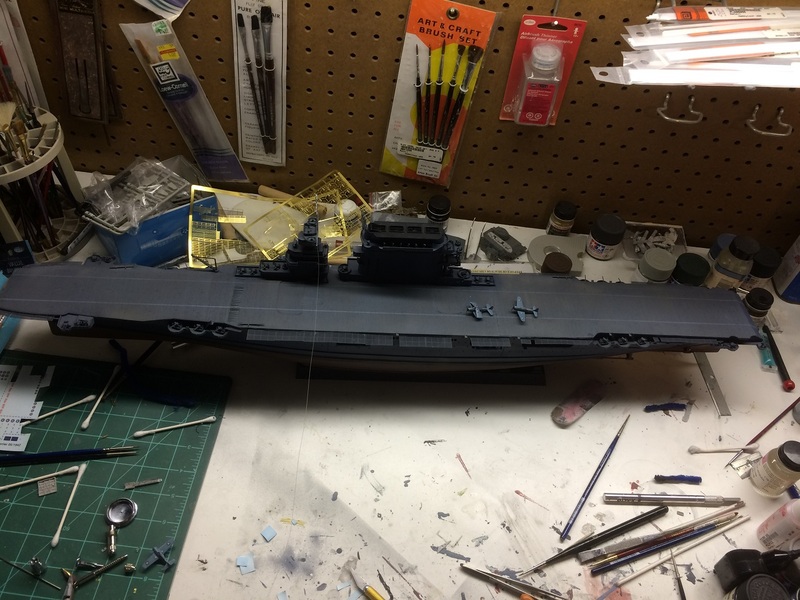 Now we're working on a 1:700 USS Yorktown (CV 5). It turns out that there are now lots of LED kits for models. I don't know anything about circuitry is there a decent book on wiring LED circuits? I know the Vs and Ohms are generally quite low, and I know the difference between parallel and series, but I could use a refresher and something that talks specifically about techniques for things like mating a fiber optic line end to a porthole. 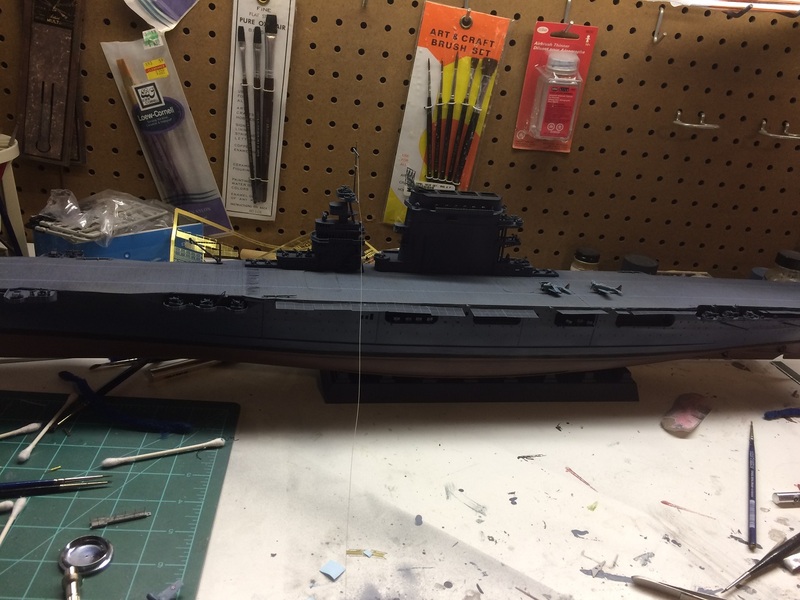 The reason for all that is not to light up a USN ship but instead because I could not resist purchasing a scale model of the Roger Young from "Starship Troopers" (film) and I would love love love to detail it and light it up. You could probably get an inexpensive headlamp and disassemble it. Here is one with 18 LED's and a battery pack for $7. The price seems too good to be true. I can't imagine you could buy the components for that. DC, low voltage, low heat, no transformer, already has a switch. There are a couple of manufacturers of pre-assembled LED kits for models, and a couple others that sell the lights, the breadboards, the f.o. lines, etc. No one has a pre-made interior lighting kit for Roger Young though. So I need to learn to do it myself. I purchased the kit from Monsters in Motion. As they have assembled and painted it, the "windows" are white paint. Ima go the full detail route. Interior lighting. I can cut my own windows. I've downloaded some art "blueprint" type schematics for Roger Young so that I can add exterior details as needed to give it more depth and detail. A lit up 1/350 Titanic would be easier. That's true. But Titanic isn't my cup of coffee. I know electricity is that smoke and sparks substance that goes inside those thin power tubes. My current project: CV-2. Nearly finished with here. 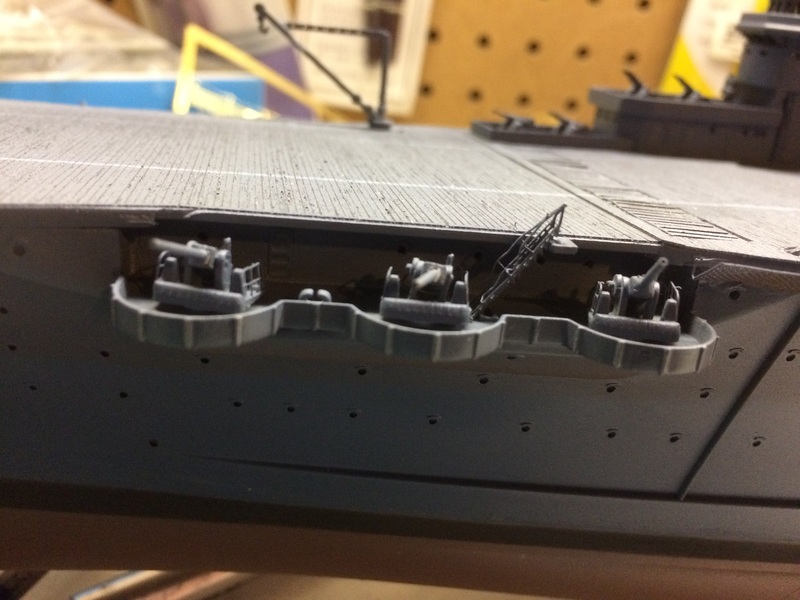 Left to do is mainly rigging, a few angled ladders and the little catwalk between the bridge and funnel. That and the rest of the air group. I used Tom's Modelworks photoetch. Tom's stuff isn't very user-friendly, with some of the worst illustrations I've ever seen. The 5"/38 barrels are all turned brass replacements. Much more convincing. Merit's CV-5 is next on the list. I'll be replacing lots of stuff on that one. Your skills are better than mine. I have a hard time when it gets to finishing places with complicated angles. That's a nice ship. 1:350? Sweet.